Super Mario Run is out - yay! It's only available to roughly half the world's smart device owning population - boo! Yes, of course, the plumber's first mobile game is only on iOS right now, with Android owners having to wait until 2017. It's a bitter mushroom to swallow. Android users can get around this, though. As an 'Android peasant' myself (oh internet, you're full of jerks that say stuff like that) I've decided to make my own fun. How? Well, I just searched 'Super Mario Run' on my phone (in Google Play) and picked some of the top results; they had to be free-to-start, too. Clones? Check. Rival brands? Check. In terms of how I picked these games, I stuck to those near the top of the search. After all, mobile gaming is for those of us too busy to worry about details such as a game's quality or development lineage. I ignored 'Super Mario Run' guides, which were live before the game itself actually arrived on iOS, and I also skipped a DS emulator that randomly appeared. Oddly, this sloppy approach of taking the quickest choices means I don't even have the latest iterations of a couple of the games - but again, time is money, I need quick, free and crappy games now, dammit! So, below are snapshot impressions of Android alternatives to Super Mario Run. Each has a score out of five based upon a bus ride's time playing it, because people like ratings apparently. Amusingly, just below this in the results was Sonic Dash 2: Sonic Boom - haha, nice try SEGA. I've actually owned this one in the past, deleting it when I'd had my fill. I've upgraded my phone since then, though, and enjoyed it more with a steadier framerate. This is a behind-the-character runner, in which you swipe left and right to switch lanes, or up and down to jump or do a roll attack. It's like those 3D on rails sections from the main Sonic games, over and over again. In truth, this game isn't bad. If you don't become addicted you can slowly make progress without paying for extras, and generally video ads and sales pitches are easily skipped and ignored. The more you play the slower progress gets as the game tries to get money out of you, but it's not as offensive as some other games. Controls are slick, gameplay is solid, and there are unlockables and extras to try and collect. Ooh, now we're being naughty. There was a time when Sony was convinced that Sackboy would be a Mario killer, and though the character and the LittleBigPlanet games have enjoyed some success - with level creation being a big part of the experience - they've not quite taken off as much as the company would have liked. As a rival to Super Mario Run, this one at least mimics the gameplay to a degree, as it's a 2D sidescrolling auto-runner. It has nice visuals - with the arts and crafts aesthetic that Nintendo's also good at - and controls are smooth, with different taps and swipes prompting Sackboy to jump higher and dash. The animation is excellent, and like Mario in his iOS adventure Sackboy smoothly dips into rolls and so on when he has momentum. An annoyance I have with this one is the fact that each attempt, barring the use of items, is right back at the beginning, and unlike Sonic Dash stages don't generate randomly. So you play the same parts over and over again, and the balancing isn't ideal - the second area, as an example, has electrocuted parts to avoid, and you can only absorb the damage with a special shield. Naturally that takes a while to charge and then disappears quickly, so early on there's a bit of a wall blocking progress. This is really designed to get you to buy stuff. Run Sackboy! Run! isn't too bad in terms of external ads, but it's heavy on micro-transaction pushing, teasing you with occasional freebies, pushing you towards a shop and making the challenge feel particularly unfair. The balancing is a bit off, to the point that I don't feel inclined to try and grind it out. That said, this is an impatient bus game simulation I'm doing here, so some may enjoy the solid gameplay enough to stick with it on multiple commutes. Oh yes, off we go into the rabbit hole. In terms of how much 'inspiration' this takes from Mario, it has aesthetics that remind me of the Mushroom Kingdom, you alternate between above ground and underground stages, and you bash a lot of blocks with your head. It's not outright plagiarism, but it's one of those "gee, I wonder which franchise inspired them" games. Anyway, this is more of a standard platformer as you have virtual buttons to run left and right, jump and throw acorns. 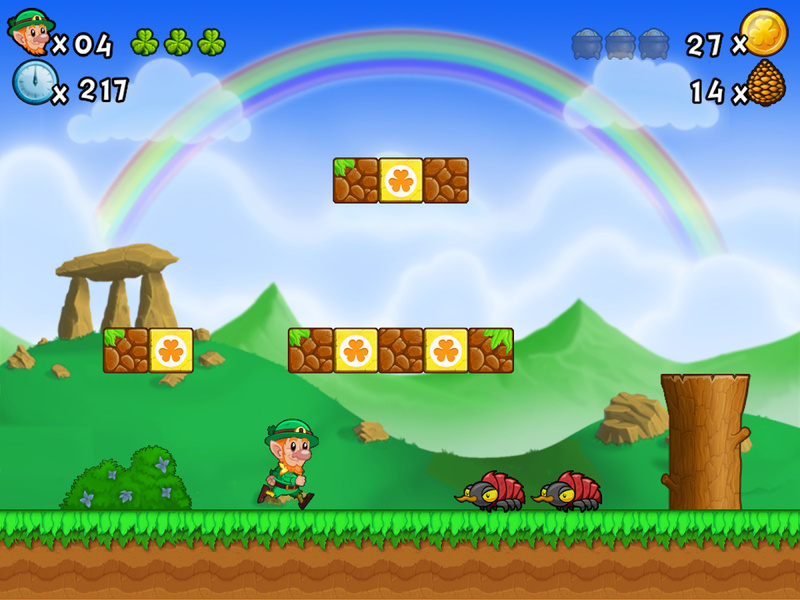 The theme is Irish leprechauns, if you hadn't guessed, and it lays it on very thick - the level ends at the bottom of a rainbow, you collect pots of gold etc. It has upbeat music though, and visually it's not too bad for a free mobile game. The actual gameplay is acceptable, even if virtual buttons are the worst form of controls imaginable - yes, even worse than the Wii Balance Board in Punch-Out!!. When I wasn't accidentally shooting my limited supply of acorns instead of jumping, I was having a reasonable enough time. It's nothing amazing, but I wasn't repelled by it; let's take that as a win. In the microtransaction / account stakes this one does have some issues. It's not too bad in terms of chasing money, but it did skip to ads occasionally in an unexpected way. It's also darn determined to get you to login into the Google Play account thing, which I dodged by partially accepting and then cancelling. It brings it up too frequently, like an angry spouse reminding you to empty the bin every five minutes. Aside from those annoyances, I rattled through the first world and didn't have an existential crisis over how I was using my limited time on Earth. That's a positive I suppose. It feels like things are steadily getting slightly worse the further we go, which suggests that the Google Play search algorithms are functioning correctly. This one's not awful, as such, but it squanders its potential. As the name makes clear (that lower case j is in the actual title, it's not our mistake), this adopts pixel-based visuals for its particular brand of 2D auto-running in which you simply tap to jump. It uses the Unity engine and has its merits, with the visuals being rather pleasing; enemies are representative of some familiar 8-bit games, while your starting character is a little pixel Abraham Lincoln, because why not. Some little sequences (with sprites that must be only narrowly avoiding copyright takedowns) made me smile. The music isn't great, it must be said, but the core look is colourful and quite fun. The actual game design could be better, though. At times deaths feel cheap, especially once giant enemies become the norm; levels are also split into three sections, so if you lose one of your three lives you don't necessarily go back to the start. Strangely, when you beat a stage you don't simply move onto the next; you have to select the next level from the home menu. Micro-transactions aren't too bad, but the implementation of ads is sloppy; there are unexpected cuts to videos, and at times the interface isn't particularly clear. Slightly better design and less desperate monetisation could go a long way. The currency of the game is also rather slow to accumulate, so getting extra characters (and their abilities) will take a while. This one plays like a bad clone of Lep's World 2, oddly. The controls and concept are similar, except this character has a double jump and throws hammers instead of acorns. There are enough differences to ensure this isn't an outright clone, but only just. There are various problems, enough to ensure that this didn't even get through the time of a typical bus ride with me. Controls are sloppy, and I kept accidentally opening a banner ad right next to the 'move right' virtual button, prompting the phone to try and open a web browser - what fun! Level design is mediocre early on, the looping music is teeth-grindingly annoying, and the only real positive is that it's functional - the developer did spend a bit of time on this game, they just happened to make a lot of mistakes. The implementation of ads is ridiculous here, frankly. If the banner ad getting in the way of the controls wasn't bad enough, I had to dance past frequent interruptions - every pause screen or transition seems to push obtrusive ads, not all of which are easy to close and skip. Structurally this game is also a mess, with a whole load of levels spat out onto a generic world map. Now picture this. Imagine if Nintendo decided the best way to bring Mario to smart devices was to just copy the level design of Super Mario Bros., naturally using a virtual D-Pad and A / B buttons. Then, imagine Nintendo lost all of its source code and talented staff, so tried to recreate it with an unpaid intern leading development. Imagine all of the assets and characters were replaced with crappy cookie-cutter art, and that the physics and controls were barely functional. That is Super Smash World / Smash World Adventure / super.smash.world.bros. I'll be blunt, I played this for 5 minutes and decided that it didn't deserve any more time. Not only is it offensive to play, but it also has appalling usage of ads. My first challenge was getting into the game, with an ad and then that Google Play account thing trying to get me to sign up. Then the ads keep coming - you lose a life, you get an ad. You beat a level, guess the prize! - An ad. From the character looking like Mario's underachieving cousin to the flagpoles and castles at the end of each level, right down to some stages trying to recreate original stages brick-for-brick (and badly, too) this one just got on my nerves. It's functional, that gets it a point. So there you have it, some alternatives to Super Mario Run for deprived, unloved and ignored Android users that also happen to be Nintendo fans. A few of them aren't that bad, to be fair, by the standards of mobile games. I'm not any more of a fan of mobile gaming now than I was before - and Super Smash World irritated me - but I didn't have a terrible time overall. Yeah, there's your box quote to promote this little collection of Android alternatives to Super Mario Run - "I didn't have a terrible time - Thomas Whitehead, Nintendo Life". I played Sonic Dash for a long time, but then eventually got bored. I still occasionally play Temple Run 2. Forget about android. Its coming to andriod early 2017. Now let's play this waiting game that Mario run is coming to.......................wait for it..................................................................................................Windows phone LOL. I have a lumia 950 xl. A list of runners without Rayman Jungle Run? 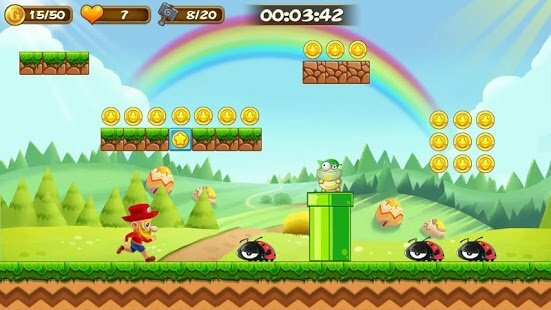 The game that Super Mario Run cloned, that offers more quality and value for money. 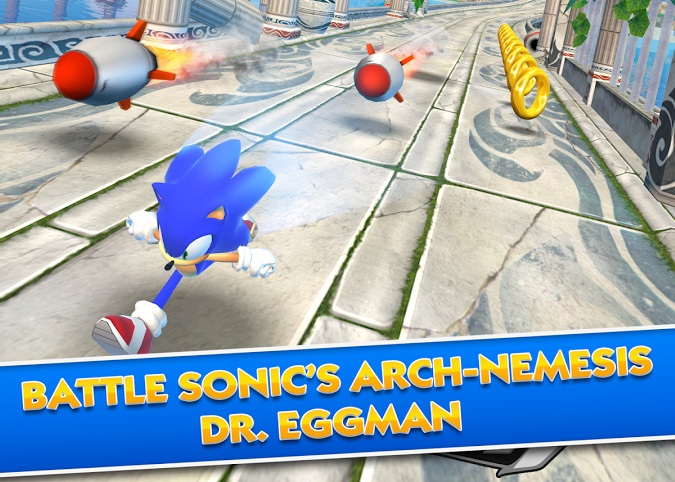 Sonic Dash is a nice alternative too, though. You could have also downloaded Rayman Adventures which is excellent. Not sure why the games picked had to be free when SMR is on the expensive end of the genre. 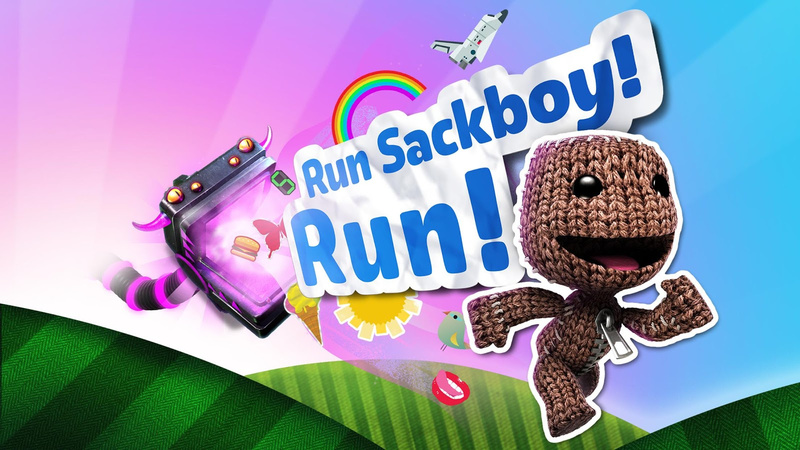 Don't forget that you can unlock exclusive items for the main LittleBigPlanet games in Run Sackboy! Run!, but the only one for the games besides LittleBigPlanet 3 is a shirt that says RSBR on it. I want the frog prince costume for OddSock. Rayman Jungle Run/Fiesta Run are both really good games too, i've been playing them a lot lately. So, Nintendo's 5 mobile games were all supposed to be out before March 2017, correct? Then we have two released (one needs to be on Android though), two announced, and one MIA. Better step it up. Lep's World is actually pretty good and great ! Yeah, Rayman Adventures is fantastic. I am not playing it as runner though. But it probably would help Android users more to list five of the best runners that are similar to Super Mario Run. And as excellent as Sonic Dash and Subway Surfers are, I consider them to belong to a different subgenre. They are not sideways runners like Mario and Rayman. @crimsontadpoles have you played the megaman one? @polivar4 no, I never knew there were mobile mega man games. I will echo what others have said that the Rayman mobile games are really good! Actually when I saw the first videos of Mario Run, the first thing that came to mind was the Rayman mobile games. The shameless ripoffs were already in hot water before Super Mario Run was out, because "hey, at least there's not a Mario game on the store officially", but now they're straight into the fire. It's like seeing four gladiators fighting to the death and trying to pad out the fight because they don't want to kill anyone, but then the lion comes in. You do realize Windows Phone is actually dead right? Microsoft will give it some suport and updates for a time (so to not disapoint the current users) but there are no plans in launching new ones and it looks like even Nokia has gone Android. Nonsense. Then all platformers would be the same too. 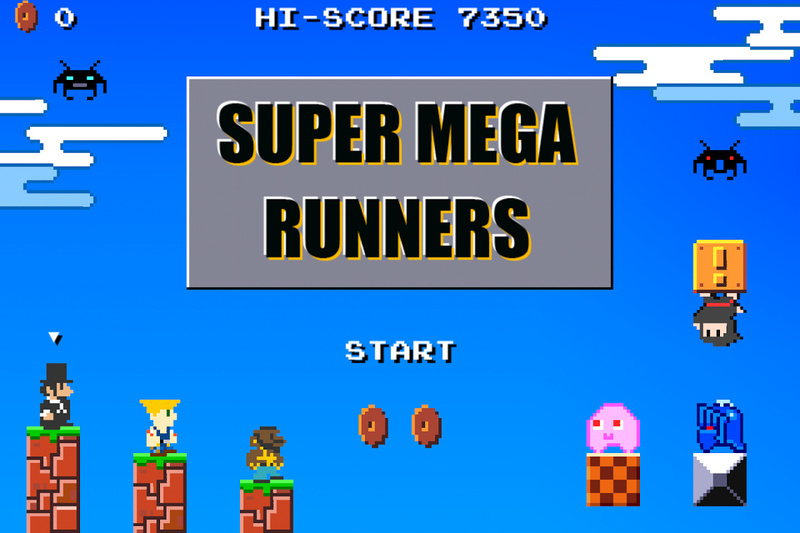 As with all type of games, there are great, mediocre and bad runners. The level design is just as important as in traditional platformers. And the different gameplay mechanics and timing is also very important. Then we have the overall presentation, graphical quality, and overall substance. There are so many factors. Super Mario Run and Rayman Jungle Run are some of the best 2d sideway runners you can get, where gameplay and production values are excellent. Well that was an interesting article, thanks for suffering for us Thomas haha. Btw wouldn't roughly half of the smart phone market here be an exaggeration? I think the last time I checked around 2/3 of the smartphone market was controlled by Android phones. @Ernest_The_Crab Actually based on current sells it can be supposed that android users are almost 80%. This page shows numbers above 80%, I would only bet on bellow considering older users who didn't change their phones in the last two years. I occasionally play Sonic Dash, it isn't bad for an endless runner. It's also relatively easy to avoid the microtransactions if one is patient enough. I'm an Android peasant myself actually. I switched from iPhone because I wanted a little more functionality and Galaxy S7 is creme de la creme. But I do have an iPad Pro I use to surf the web (on it now in fact), and naturally it's great for playing Super Mario Run. Big screen is way better than a phone screen. iOS users spend way more per phone than Android users. This is the primary reason Nintendo's app, and many other apps, go on iOS first. The average iOS device generates $52 annually in sales vs $5.70 for the average Android device. The point of mario run is to play mario on mobile...not because we're all itching to play a running game. 1. Good quality premium apps are overshadowed more by the shovelwares. 2. People who are satisfied by the free (full of ads) and freemium shovelware aren't so inclined to spend money on apps they don't even understand why are more expensive than their common shovelware. Don't get me wrong, I don't hate self-publishing, but, let's be honest, some quality control, or more strict rules would only improve the place. Of course, most of this is my opinion, based on my view of the facts presented. Feel free to object or disagree in silence. Damo: "Thomas, you must post an embarrassing list of runners that makes Android look bad compared to iOS." Thomas: "Yes, my lord! For the Rhetoric!" I agree with that all the way. Most companies target users who they beleive are likely to pay for their wares. At $5.70 per phone, it is highly unlikely they would fork over $9 for that game. The amount of crap on the google store is quite ample. 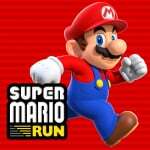 I just read an article about fake MarioRun apps on the google store that are all Malware. But I hope Nintendo figures out the Android market as well and how to properly value its game for those users. I've used both Android & iOS, but I'm currently all iOS. @dres I couldn't agree more. Playing Rayman Run for a bit and switching to Legends, there's darn near no drop off in quality with the mobile game. It's that good. It's also a buck right now and you don't need constant WiFi to play it. Google does actually scan the play store for malware, and are removing bad apps. Even more so than Apple does. Apple is more strict about esthetics and quality before you app gets accepted, but that's it. There is also a lot of crapware on Appstore, and I think the differences are not that big anymore. The biggest difference between Android and iOS is the piracy. On Android you can install apps from other sources than the play store, and it have forced publisher's to release their apps for free or very cheap, only relying on ads and in-app purchases to prevent piracy. The piracy is the biggest reason for the lower app revenue on Android. But generally Android is just as secure as iOS if you stick to the official Play store, and never use other sources. Yeah, from what I've tried of Super Mario Run, it's good but nowhere near as good as Rayman Jungle Run and Fiesta Run. Not to mention that both Rayman runners combined are still cheaper than Super Mario Run. The App Store should REALLY take these down, especially since SMR came out. You don't know what ads are until you play Angry Birds on the new update... It's like spamming on an online game but with ads. And may I add that they use the SAME AD EVERY TIME. Not a fan of mobile gaming but yet, here comes the Switch. Nintendo has failed on its next console. Regardless of which article is correct, after having used both, the offerings on iOS are clearly superior. I'm willing to spend money in iOS, because the experience for me has simply been much better as a user. But that's simply my personal experience, everyone clearly has had their own experience and their personal favorite. Hopefully Nintendo pushes to Android soon enough so everyone can try it out. This is needed like a hole in the head. "Super Mario Run is out - yay! It's only available to roughly half the world's smart device owning population - boo! Yes, of course, the plumber's first mobile game is only on iOS right now, with Android owners having to wait until 2017." Half the smart-phone owning population? iOS is currently 11.5%. Android is 87.8%. Well in the article you are referring to, they talk about potential malware in these knockoffs, and that people should be a bit careful what they download. While I agree, there is no evidence that they really contain malware.